Your guests will catch Disco Fever with our fantastic and fun-filled Disco Divas party theme! Does your birthday star love all things shiny and funky? Do they love to dance, sing and play? Our Disco Divas packages offer fantastic fun for all your little guests! 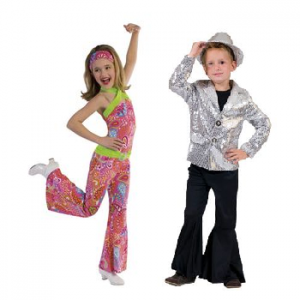 Kids can dress up in their shiniest, most glittery disco attire for a fun-filled day of disco fun! This package is suited to under six year olds and includes fun games, prizes and singing and dancing activities! Your little guests won’t even realise that they’re learning while having fun!